A huge thank you today to Bonnie Ward Simon, Creative Director at Maestro Classics. I have the privilege of sharing a video and article from Bonnie, as well as being able to give away a copy of Maestro Classic's Peter and The Wolf. The Maestro Classics CDs are one of our very favorite resources!! Why is Music Education Important for Homeschoolers? We all have five senses and four of them are quite easy to address. Colorful picture books and patterned mobiles (sight), stuffed animals (touch), baby food plus tastes from our own plates (taste), and stinky diapers and sniffing lilacs (smell) – these four are taken care of almost by themselves. But, what about our children’s ears? Like all areas of your curriculum, you will have to decide how deeply you want to travel and how much you may want to learn yourself. What you do not want to have is a musically illiterate child. Just as you will be sure that your child has read some Robert Frost poems, some Charles Dickens novels, and some plays by Shakespeare – and you would hope that they could identify them if they read them in the future, so you should hope that you will raise a child who will recognize Beethoven’s Fifth Symphony, a Sousa march, a Beatles song, and the theme music from a movie like Star Wars, for example. If you wonder if you can accomplish that at this moment, don’t worry, you will soon be able to. Music is one of the journeys that can be as rewarding for the parent as for the child, and sometimes even more so. What about the Mozart Effect? You may have read the studies about the Mozart effect and how listening is supposed to improve spatial intelligence, but the real reason to include music in your curriculum is because it adds a completely new dimension to a child’s world of experience. Imagine church without music! Imagine movies without music! Imagine weddings without music! Imagine dancing without music! Imagine the world we lived in before portable music players! Music has the power to make you happy, to make you sad, to make you remember things, to keep you company. Our job as homeschooling parents is to introduce our children to the great world of music, not because it will make them smarter – studies do show that children how play instruments do better in school – but rather to enrich their lives. Is classical music the only good kind of music? Definitely not. There is great music in all musical genres, from classical to house music, but it is usually when it comes to classical music that many parents feel least equipped to guide their children. Where to begin? The first most obvious place may be with a piece of classical music that you personally like. Can’t think of one? Don’t Worry! Just go to my favorite Top 100 list, begin at the top and start to “Preview.” (You can listen to samples either in iTunes or Amazon.) I guarantee that you will find one (and probably more than a few) that you either already know or like. I encourage you to select one, purchase it for 99-cents, and listen to it. Regardless of how old your child is, you can listen to it together. It will probably be less than 5 minutes long and if you listen once or twice a day for a week, you will both get know it pretty well. I expect that you will also begin to hear more in the music as the days pass. This is one reason that classical music is touted as being “better”; it is simply that it is more complex and the more you listen to it, the more you hear. Let me offer you an example. If you started with Beethoven’s Fifth Symphony, I would recommend that you then find and listen to “Mr. Beethoven Lives Upstairs,” a wonderful story about Beethoven by Classical Kids. (It is probably in your local library or can be purchased at Amazon. Next you can find “Ludwig Beethoven and the Chiming Tower Bells”, part of the wonderful older series of easy reader books by Opal Wheeler and you can learn more about the composer. (This can be a read aloud or read alone book, depending on the age of the child.) Then go back to my favorite music site and discover that there are six other works by Beethoven on the Top 100 chart. Listen to them and see if you would like to choose one for the next week’s listening. If you listen to the “Moonlight Sonata,” then Beatles’ song “Because” (Abbey Road album) you may see why John Lennon said he was inspired by Yoko Ono’s playing this Beethoven sonata on the piano. With the internet, you could spend the year on Beethoven, writing biographies, creating timelines, doing lapbooks, but you can also spend just a couple of weeks, because there are so many other composers to discover. The great Russian composer, Sergei Prokofiev, found another way to interest children in classical music. He created the most famous work of all time for narrator and orchestra: Peter and the Wolf. Having created with conductor Stephen Simon several extremely popular family concert series at the Kennedy Center, including a Stories in Music series, we decided to create CDs that included not only stories narrated to great classical music, but also to include composer biographies, hints on what to listen for in the music, and the inclusion of a track in a different musical style to broaden listening horizons. Listening to the Maestro Classics series is perfect non-stress learning, with parents learning as much as the children, and also having the pleasure of listening to the London Philharmonic Orchestra, one of the greatest recording orchestras in the world. It is perfect entertainment for the car, too. There are many more Maestro Classics titles for Narrator and Orchestra. They are all classic tales with classical music and they all contain important life lessons and morals. 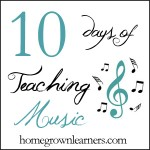 On our website there are free homeschool curriculum for each CD to help you integrate music into your curriculum. For a fun exploration, go to our website and click on the CDs on the homepage. You can watch videos and listen to music samples for all our CDs. I guarantee that they will make you smile! Bonnie Ward Simon is the former executive director of the Washington Chamber Symphony at the Kennedy Center in Washington, DC. Together with her husband Stephen Simon, a prominent symphony conductor with over 25 years of experience, the husband-and-wife team are producing the Stories in Music CD series by Maestro Classics to help parents and children better understand and enjoy symphonic music at home. To win a copy of Peter and The Wolf, simply leave a comment here telling me why you think music is important for your children! If you'd like an additional entry, tweet this giveaway or share it on Facebook! This giveaway will be open until Friday, April 27th at midnight.